A lot of the fans of TCM wonder why films from the 70s, 80, and 90s would be included in a “classic” film festival. That’s understandable, most of the fare on the TCM channel comes from the heyday of the studio system when movie making was part of a factory process. The collapse of the old ways of doing things ushered in chaos, innovation, vulgarity, sexuality a very different sensibility. I love studio films from the dream factory but the term “classic” is not really limited to a time period. From my perspective, a film earns that title if it made a unique mark on the industry and culture. So many of the films that I love come from the second and shorter golden age of Hollywood, 1969 to 1977. For a few brief years, the inmates were in charge of the asylum, and there were some amazing films produced as a result. 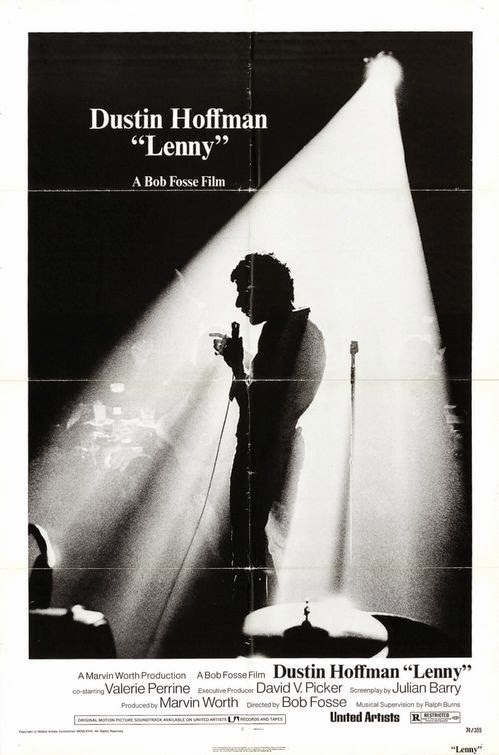 One of those films is “Lenny”, the biopic of comedian Lenny Bruce by director Bob Fosse. 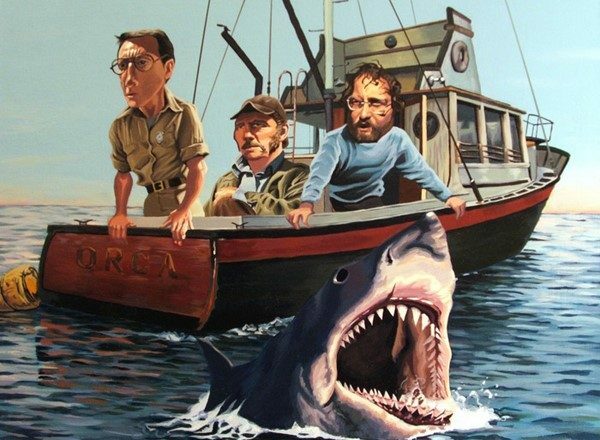 Bruce turned into a controversial figure after becoming the subject of prosecution for violating obscenity laws. That controversy spurred him into becoming an activist and political figure in the culture war that was breaking out in the early 1960s. The film was widely lauded for it’s photographic style and the nominated performances of the two leads. It is however a slog to get through since the story does not have a strong narrative and the subject matter is sometimes lurid and ugly. This screening was not originally in my schedule for the festival but the work related meeting that was going to keep me out of the festival until late afternoon was not happening and so I took a chance on seeing this again, for maybe the third time since it was originally released. In the line up to get in, I chatted with two very nice women who were old friends and were at their second TCM Festival. One is from Virgina and the other from the San Diego area. After twisting her friend’s arm into going with her last year, this year the formerly reluctant friend became the programmer for their Festival and choose this movie for their Friday morning. When the line began to move, I heard someone call out my name and I spotted my on-line friend Michael, le0pard13.com standing in line in front of me. He indicated that he would find seats for us and I joined him inside the theater. I’ve run into Michael a few times at screenings at the Egyptian and he is a great movie companion, full of enthusiasm and knowledge and also willing to listen when you have something to say. We ended up attending four films together at the Festival and I enjoyed every minute of his company. The film itself is fascinating to see because the black and white photography seems to fit the actual time period and subject more effectively than color would have. The time period covered featured TV in Black and White. Comics talking to each other and working in nightclubs just feel like they belong in B &amp; W. I remember “Broadway Danny Rose” the Woody Allen film featuring a number of comics and other acts of the era was also shot in B &amp; W. Fosse had won the Academy Award for Director just two years before for “Cabaret” a musical theater piece that is much more in his groove that this picture was. He only directed five full length features, and was nominated for his work for three of them, including this film. The special guest arranged by the Festival was star Dustin Hoffman, who was interviewed by actor and frequent TCM co-host Alec Baldwin. 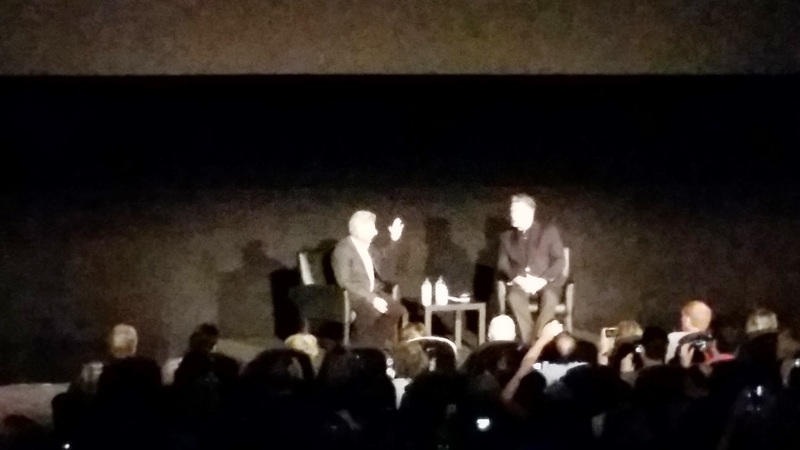 The interview took place after the film and Hoffman was greeted with a warm ovation from the capacity crowd. I’d actually seen him going into the theater when we were standing in line so he was there for the screening not just the interview. At another film line in the Festival, I spoke with a woman who had sat right in front of Hoffman and Baldwin during the screening and she said that Hoffman regularly was commenting to Baldwin about things going on in the film. Hoffman shared memories of working on the film and struggling with Bob Fosse over the direction that the performance would take. He was gracious enough to say that Fosse was the one who was right in the long run. Those of you who have seen “All That Jazz” will recall that the lead in that movie, a somewhat fictionalized version of Fosse, was working on editing a movie about a comic. Those sequences were directly based on Fosse’s struggles to get this movie to take shape. According to Hoffman, it was Fosse’s decision to use interviewing sequences to string the episodes together, that finally allowed the film to become more coherent. Hoffman praised the performance of his co-star Valarie Perrine and said that if we had encountered the “real” Honey Bruce, we would be amazed to see that Valarie Perrine embodied her perfectly. He also shared stories of his being cast in “The Graduate” and of working with Jon Voight in “Midnight Cowboy”. As he discussed the improvisational style that Lenny Bruce used, he invoked the name of his late friend Robin Williams and a very real moment occurred when he struggled to compose himself to go on. Alec Baldwin was a supportive interviewer and managed the moment with grace. The two of them were so caught up in the conversation that they seemed to have lost track of time and the interview ran long and another screening was scheduled in the theater. As we were exiting, the lobby was already full of people waiting to get in for another program. No one seemed to mind, since everyone was enjoying their experience so much.